Deon Thomas and Paris Parham greeted one another on court, about an hour before the Michigan game. They reminisced about the one game they played against each other in high school. Dunbar beat Simeon, according to Paris. But the teams had to stay in their locker rooms afterward, until the gunplay cooled off outside. 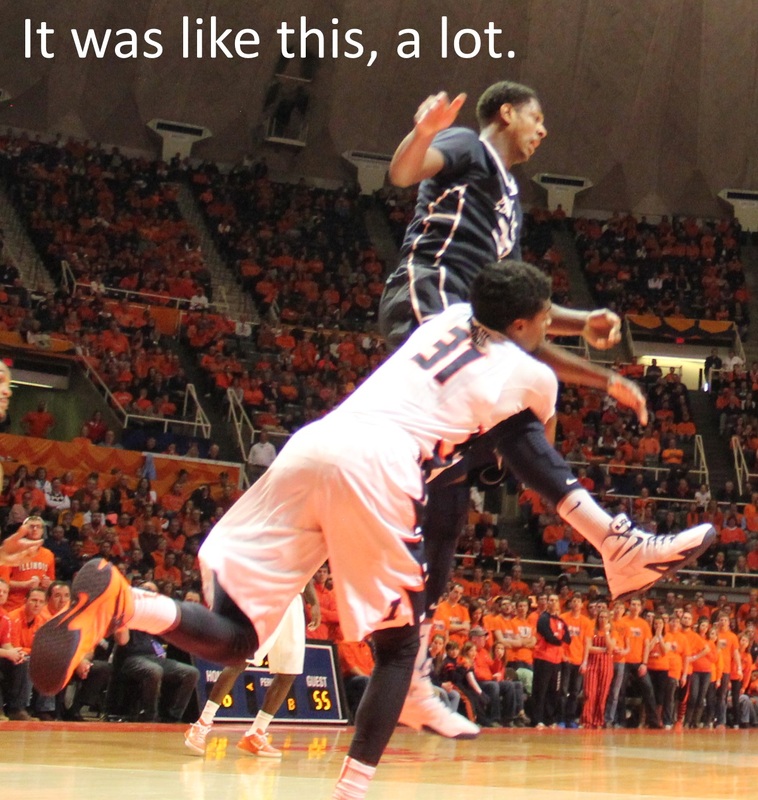 Whatever happens to the Groce staff, Deon and Paris agreed they’d lived through worse. They’ve seen guys get shot. They’ve seen people killed. The Groce Question was answered today, by an Illinois team that couldn’t compete with a league rival, and by John Groce himself. 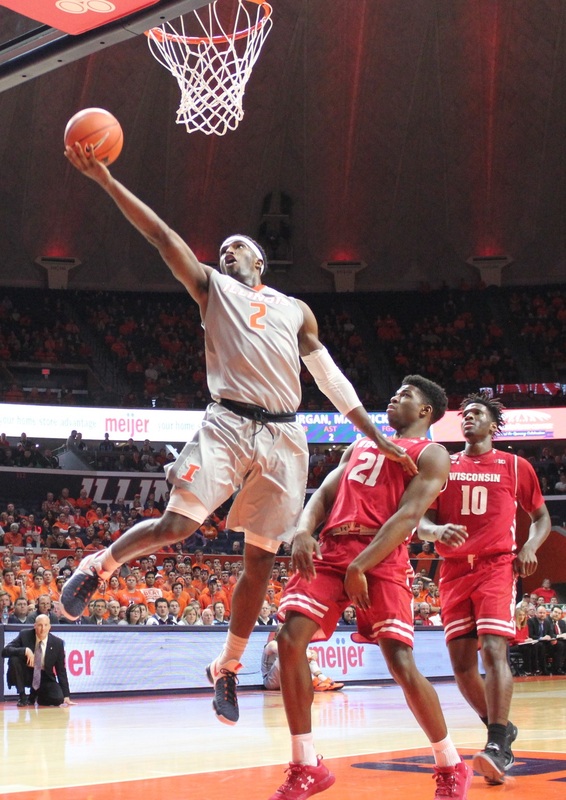 Five years into the Groce experiment, Illinois is not in the same class as the Big Ten’s elite teams. 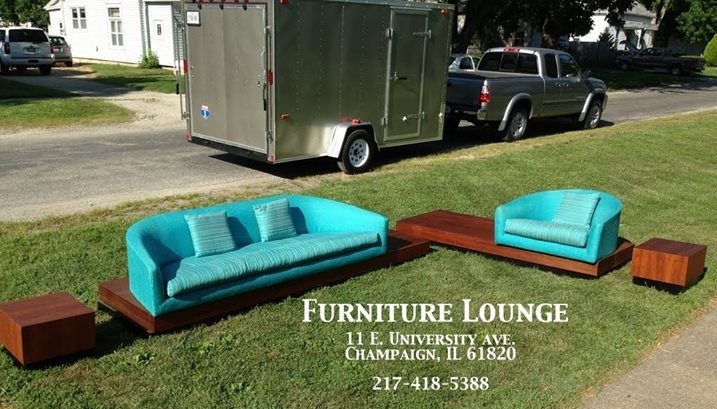 Illinois is second-class. Worse, they don’t just lose. They get blown away. They’re simply not relevant in major college basketball. The B1G’s third-class teams played Wednesday. Two of them left town before the second-class teams arrived to punish the survivors. The first-class teams will show up tomorrow, and feast on the second-class. Except for us. We’ve already been eaten. 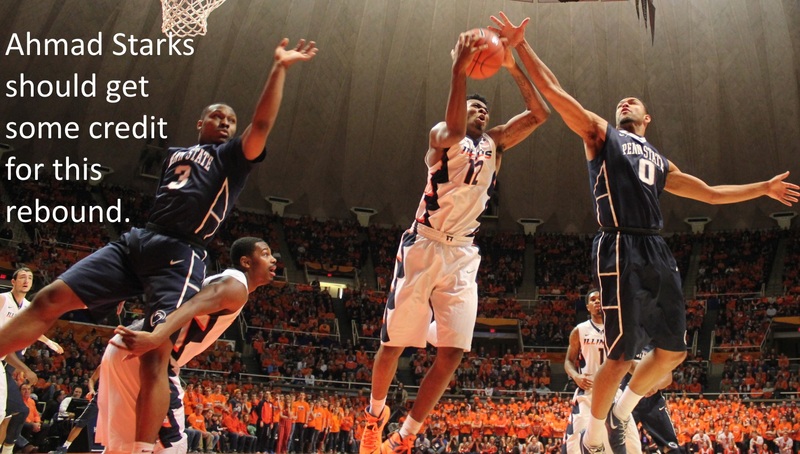 The Illini will be in Champaign-Urbana when real B1G basketball gets underway. Groce, to his credit, came right out and agreed he’d do it all over again, exactly the same way, rather than “coaching not to lose,” the sin Bruce Weber admitted while trashing his players for public consumption, in February, 2012. The Groce Question by the way, is not whether Groce will be fired. It’s not whether he should be fired. It’s whether he can lead Illinois out of the slash and burn wasteland he inherited. The answer is no, he can’t. Weber was fired five years ago today. 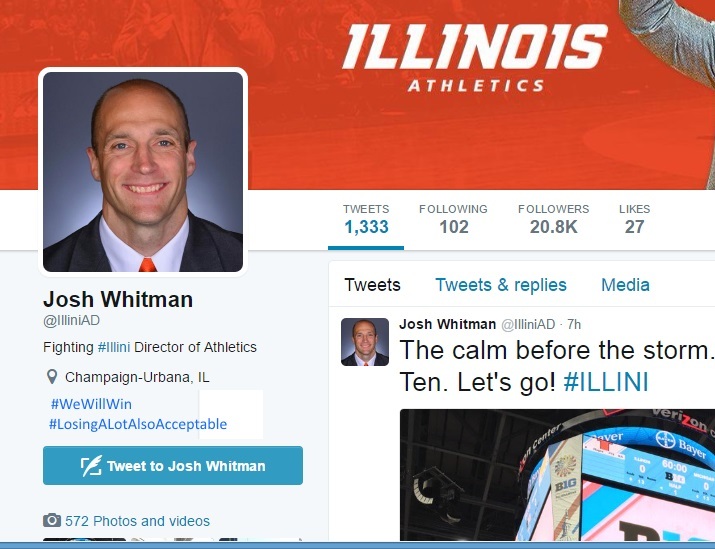 If Groce doesn’t follow him out the door, we’ll know that Josh Whitman doesn’t have a home-run hire waiting in the wings. 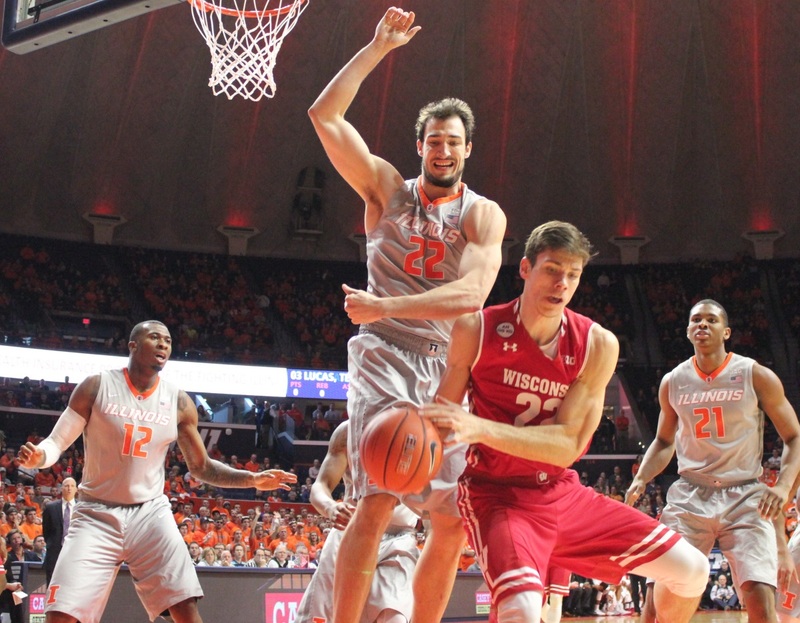 There’s no way Josh Whitman could let the Groce era continue simply because he thinks Groce needs more time, or might be on the verge of something big. 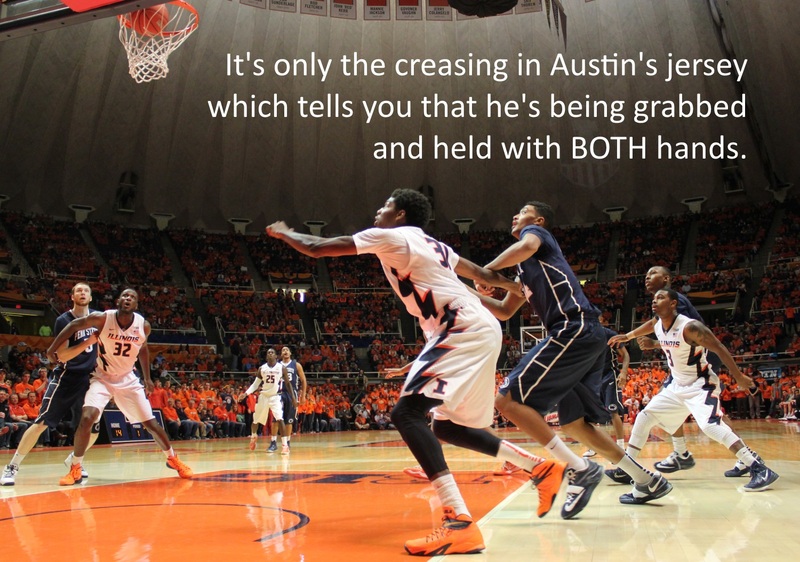 Everything we know about John Groce says this is the way he’ll do it, including his own words. He said during Monday’s pre-tourney teleconference that he doesn’t make in-game offensive adjustments. He can’t. His system is his system, for better or worse. And you know what? Good for Groce. He told us on day one that he’s a teacher. And at the end, he told us the same thing again, and demonstrated as much. He’d rather coach these guys in practice than in games. That’s another thing he’s said, again and again, over his five years. It’s perhaps not the best personality trait for a Division I coach. But it’s admirable. So expect a new coach to be announced real soon. And if there’s not such an announcement, understand that it’s because Josh Whitman doesn’t see the point in giving a five-year contract to another mediocrity from the mid-majors. Or indeed, a super-performing coach from the low and mid-major conferences, like many from my long list. 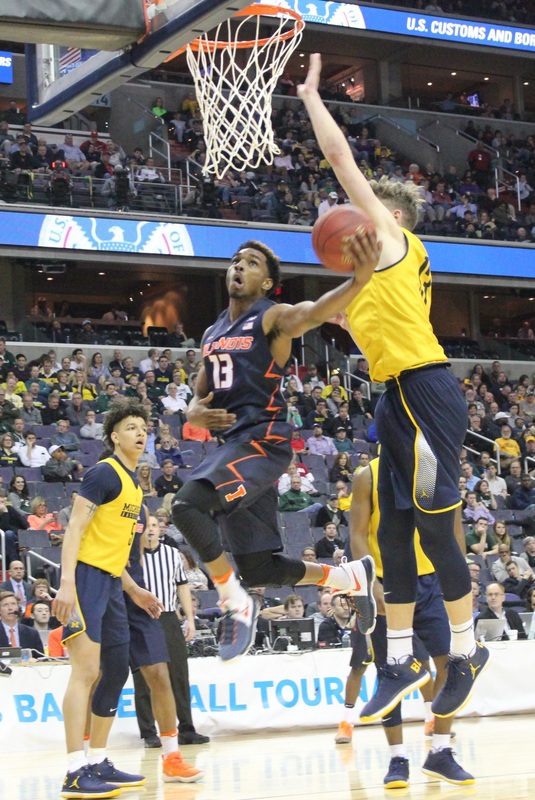 Or Cuonzo, whose NIT trajectory should eliminate him from the conversation (it won’t). Yes, there’s the argument that Illinois basketball will get worse if Groce isn’t fired immediately. But that can’t be true. Either you’re relevant or you’re not. Illinois isn’t relevant. The fanbase won’t grow. Fair-weather fans won’t come back until the weather is fair. But if this season is any indication, about 12,000 people will still turn out for basketball games. 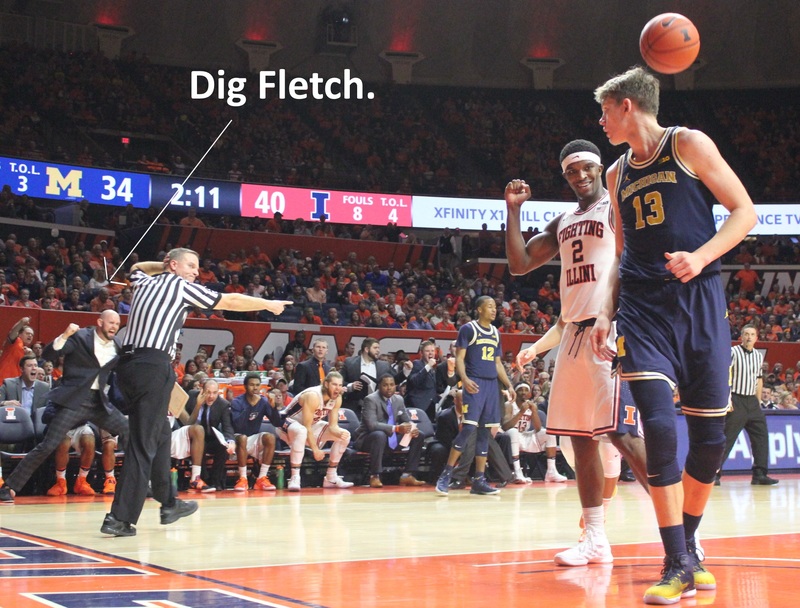 Anybody that lived through 1989 or 2005 isn’t going to stop cheering for Illini basketball. They remember how great it feels when we’re first-class. Saturday in Piscataway (poet, I know it) I met two Rutgers basketball fans. 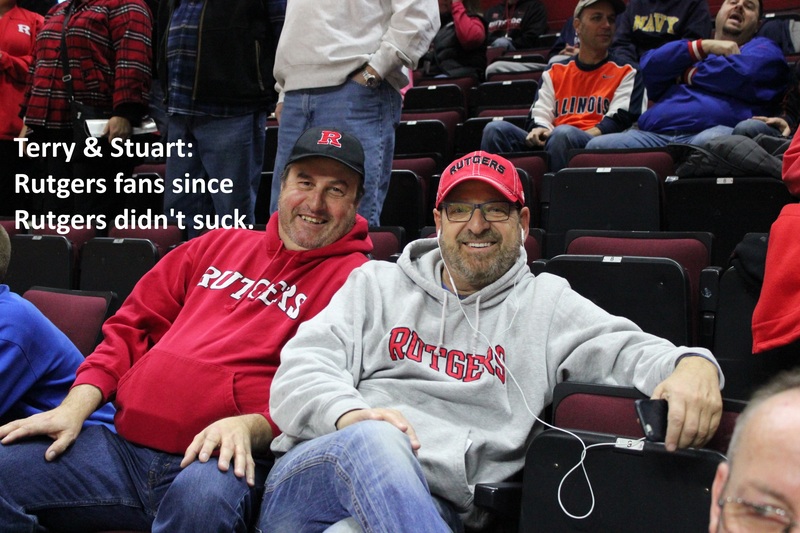 Possibly the two Rutgers basketball fans. Terry and Stuart graduated in 1978. That means they were students when Rutgers last made it to the Final Four. I met them in the campustown Barnes & Noble. I was about to catch the free campus bus that runs between New Brunswick Station and the RAC. Instead, they gave me a lift. When we arrived at the RAC, Mike Palko was just walking by. He was the starting center on that 1976 team. These three guys still attend Rutgers basketball games, because they remember what Rutgers can be. They believe Rutgers will be back some day. Illini fans vastly outnumber Rutgers fans. You needn’t be 61 years-old to remember the high. If #WeWillWin means anything, Josh Whitman isn’t satisfied with second-class. Whether it happens tomorrow, next week or next year; it’s going to happen. 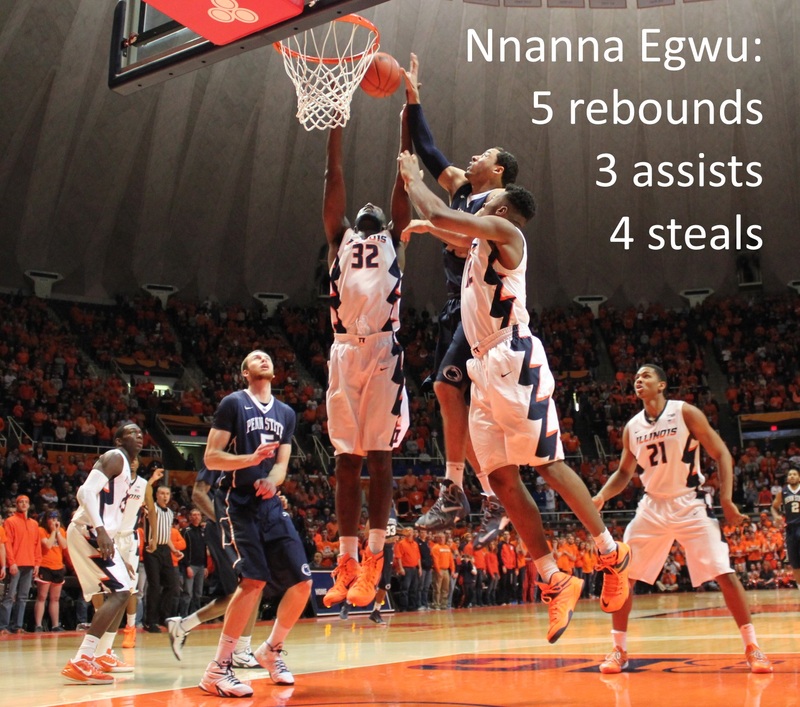 The Illini men fell to [opponent team] last night in [city] by a score of [lots] to [considerably less]. Illinois was slow out of the gate while [opponent team] ran up a double-digit lead before the [ordinal number] media timeout. 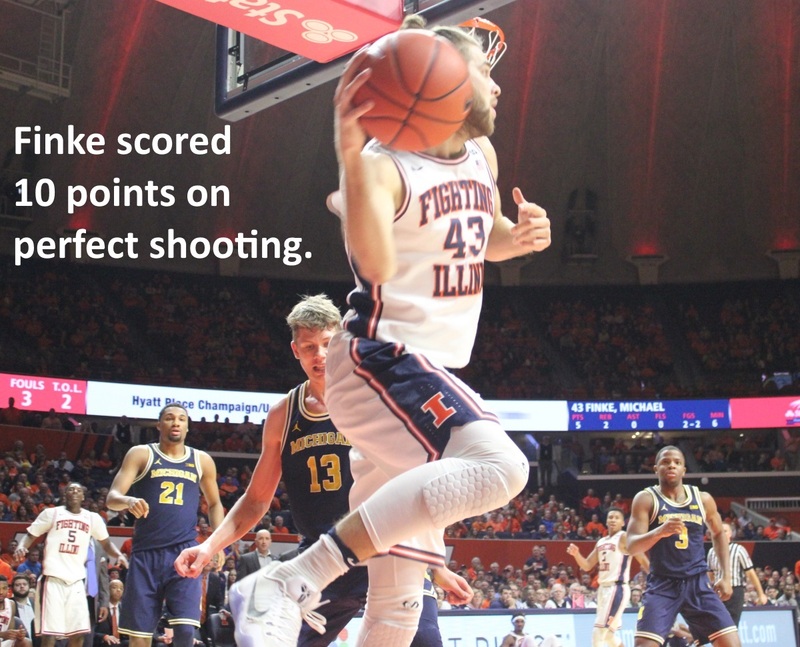 The [opponent team nickname] connected on [x] of [singular or plural possessive pronoun] shots as the Illinois defense was slow to find its footing. [Journeyman/team cancer] said he wasn’t sure why Illinois was so slow at the start. [Predicted savior] agreed in part, saying the team needed to play harder. [Role player] said the team needs to play hard all the time. [Opponent team] got a boost from [bench player], not known for his [specific offensive categorical] proficiency. [Bench player] tallied a career-high [x] [specific offensive categorical] in [x] minutes of action. [Opponent team] out-rebounded the Illini by [fortysomething] to [twenties], despite the size advantage Illinois enjoys in the post. Illini players said the team remains hopeful. [Role player] said he believes the team is on the verge of turning things around. [Journeyman/team cancer] added that Groce told the team they should never get too high about a win, or too low about a loss, and that the team needs to play more together. 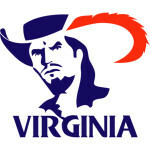 Groce compounded that sentiment, employing an allusion to the 80’s British prog-rock group The Police to critique the team’s ill-adjusted sense of timing. [Journeyman/team cancer] admitted privately afterward that he’d never heard of the group, but sort of ignores moments when the coach is speaking metaphorically because it’s depressing and stupid. 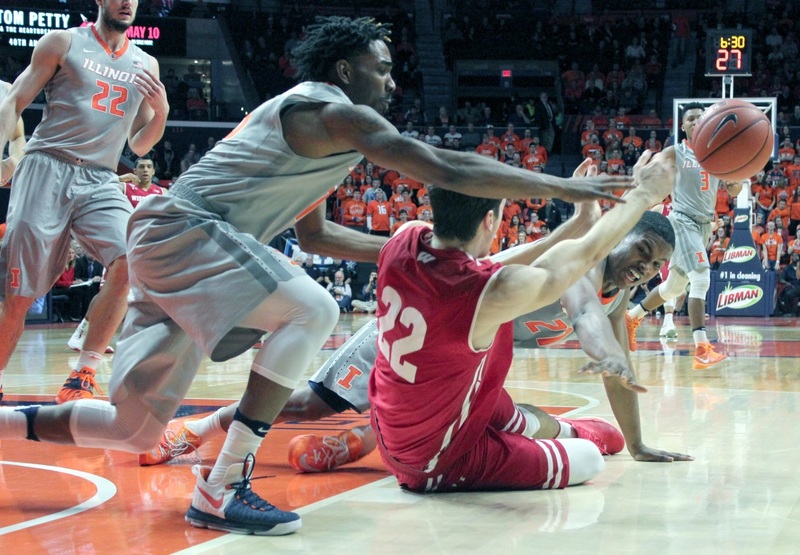 Groce also said his team lacked toughness in the face of adversity. The final score doesn’t tell the whole story. 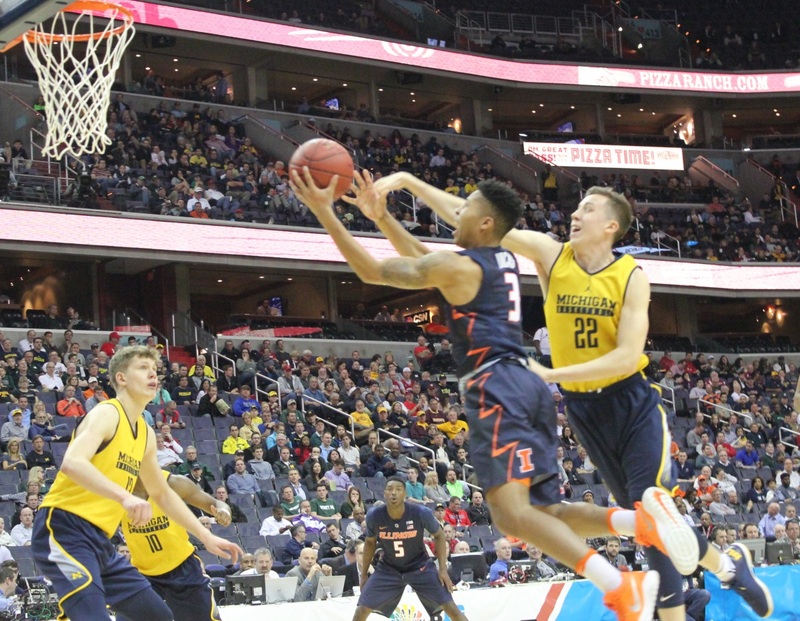 Illinois mounted a courageous comeback in the second half, cutting the deficit to [x] points. But following an Illinois time out, [opponent team] regrouped, forcing a crucial Illini turnover and regaining the momentum. 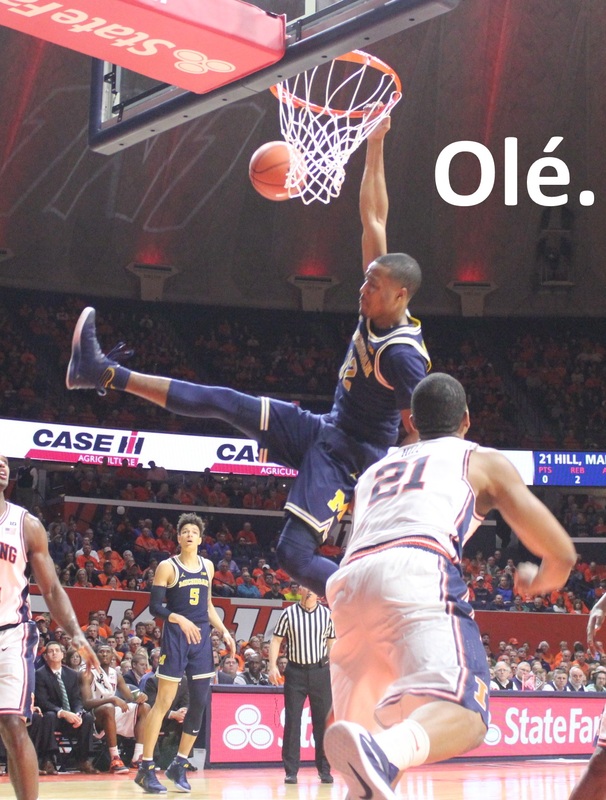 [Journeyman/team cancer] led Illinois with [x] points and added [x][assists/rebounds]. 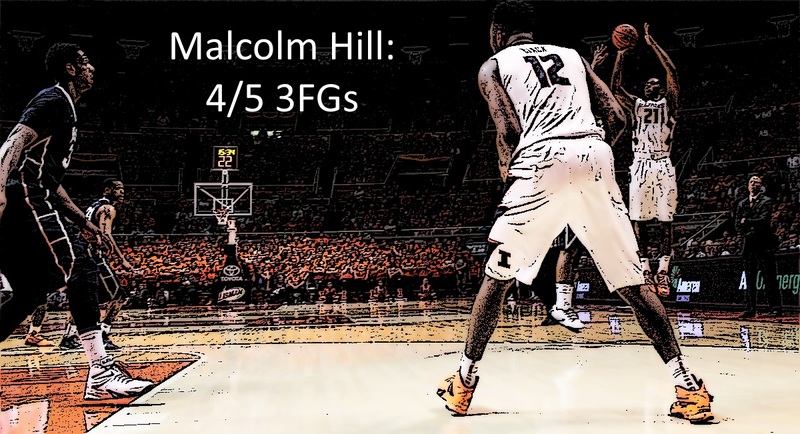 [Predicted savior] had an off-night for the Illini, connecting on only 1-of-9 shots from the field. 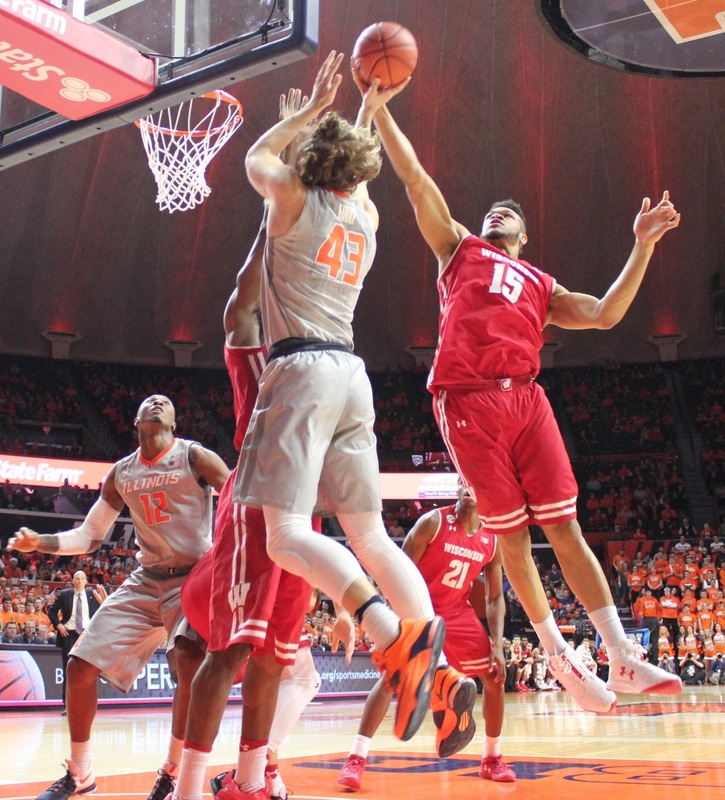 The Illini drop to [dwindling cardinal number-increasing cardinal number] on the year, and [single digit-double digit] in the Big Ten. [Opponent team] improves to [superior numbers] in conference and [NCAA-sniffing record] overall. For his career at Illinois, Groce is now [cardinal number] and [increasingly larger cardinal number] in Big Ten games. If we were Gonzaga, we’d feel this way most mornings. Playing lousy teams is an excellent way to ensure wins. Competing against matador defenders ensures that your offensive sets will look great! 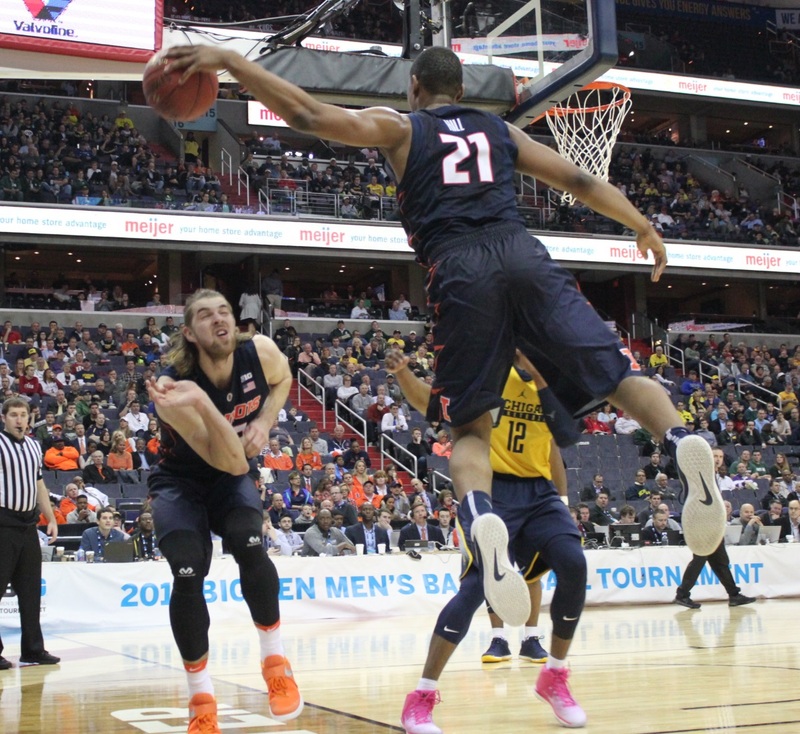 That’s why Mark Few and Ggreggg Marshall aren’t looking for jobs in competitive conferences. It’s why Bryce Drew may learn, over the next few years, that money isn’t everything. Michigan stinks. 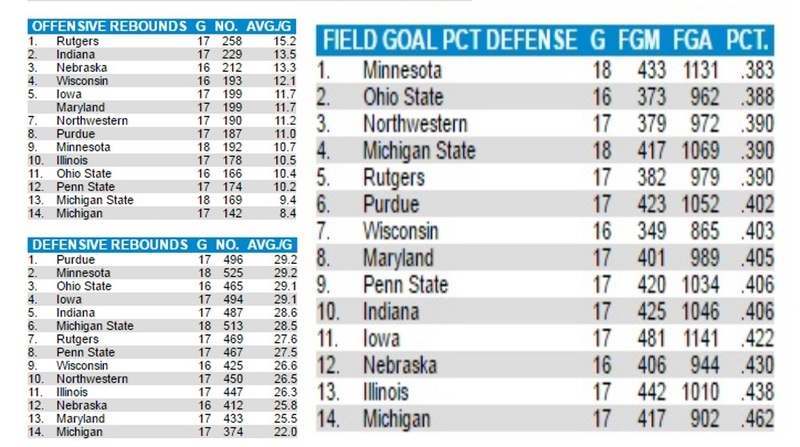 They’ve got the worst defense in the Big Ten. OK, that’s an exaggeration, statistically speaking. Michigan can’t stop other teams from scoring, and they can’t rebound on those rare occasions when the other team misses. John Beilein laughed about it, noting that Michigan didn’t get schooled on the boards because Illinois didn’t miss any shots (64% on twos and another 64% from three). Beilein also readily admitted that Kipper Nichols was nowhere to be found on the Wolverine’s scouting report. 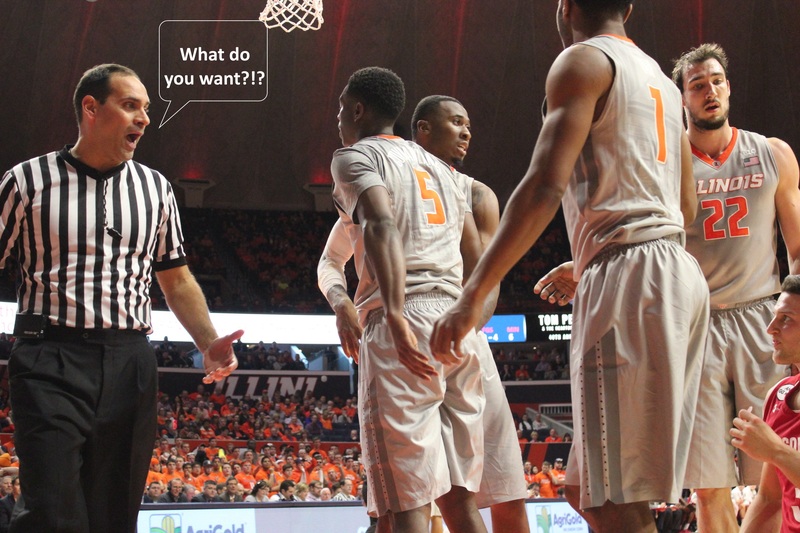 Wouldn’t it be great if John Groce were so candid? Now that Bo Ryan is gone, there’s no contest about who’s my favorite B1G coach. 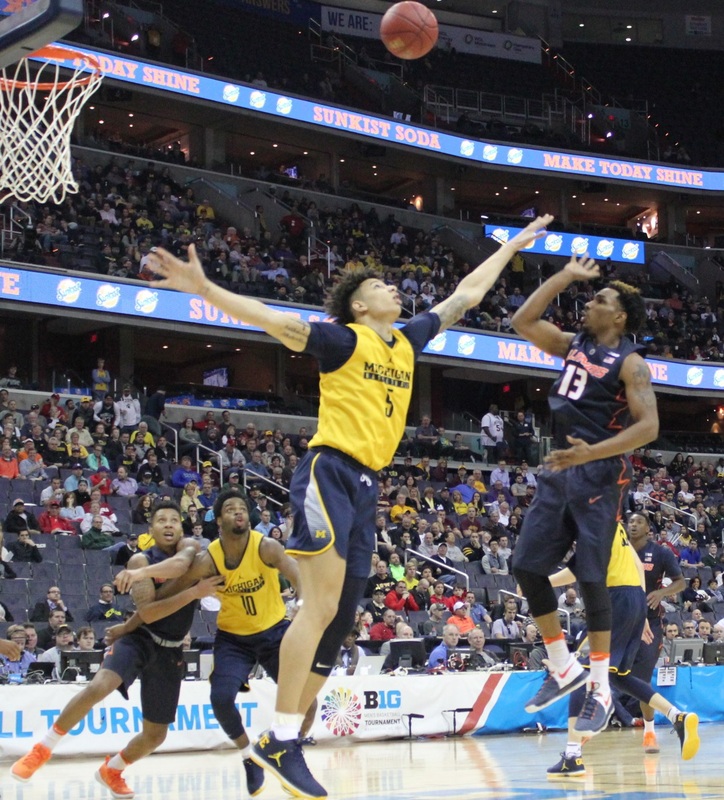 Like John Groce, Beilein is known more for his teams’ offensive capabilities. Defense? Not so good. Te’Jon Lucas has been the proverbial back-up QB for the last three months. Now he’s the actual back-up QB, and based on the minutes he’s played in the last two games, moving in on the starting QB position. Compare his Wednesday stats to Tracy Abrams’s. Lucas’s ATO was 8-to-1 in 23 minutes. Abrams was 3-to-1 in 24 minutes. Each had a steal. 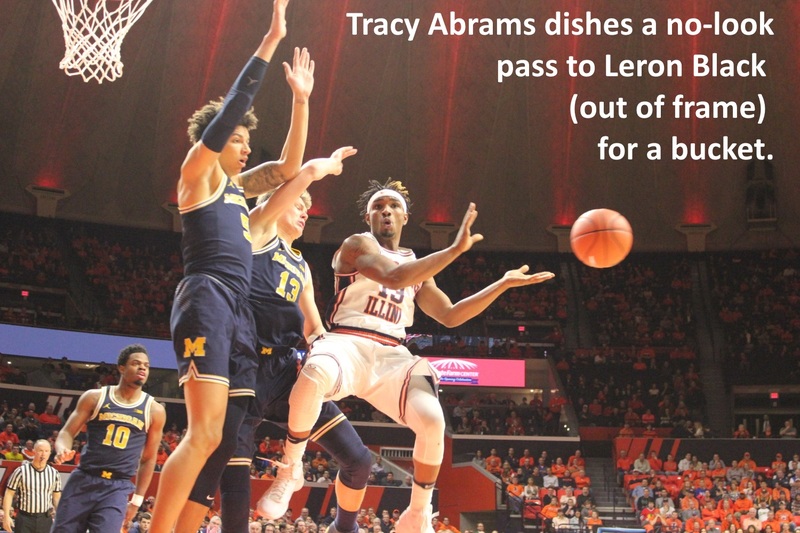 Abrams grabbed two rebounds and Lucas one. Abrams committed three fouls and Lucas zero. Lucas didn’t miss any shots. 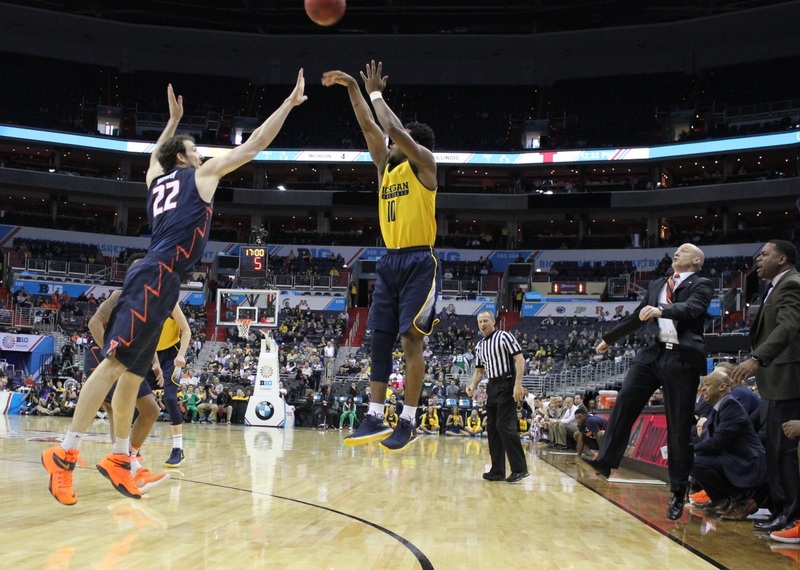 Tracy was 1-of-3 from the field and 2-of-3 on FTs. Lucas didn’t get to the line. Each made a thrilling no look pass for an assist. Kipper Nichols is unlikely to live up to the outrageous expectations foisted upon him by demented fans. Since joining the program, he’s been the fantasized savior among people with pseudonymous message-board identities & access to the Internet. And yet, every time Nichols touched the ball on Wednesday, something really exciting happened. 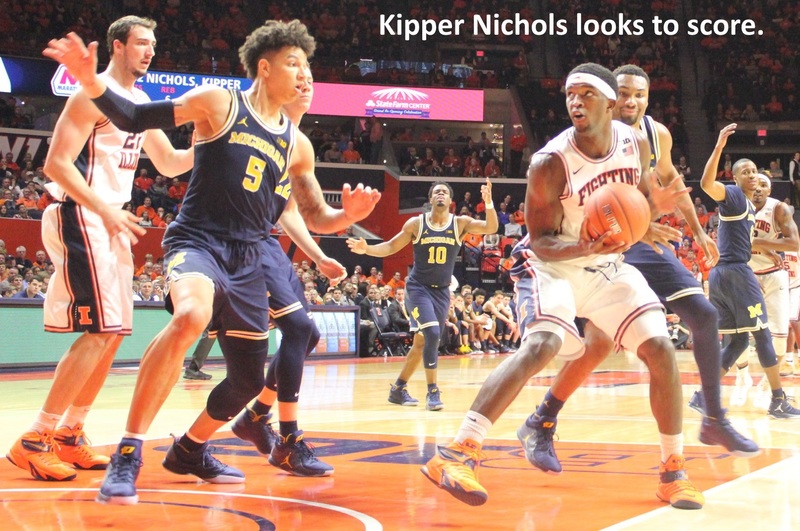 Whether it was yanking a rebound from the hands of an opponent, offensive rebounds and put-backs, or nailing shots from the low post or the arc; Kipper dazzled the crowd of 11,404. 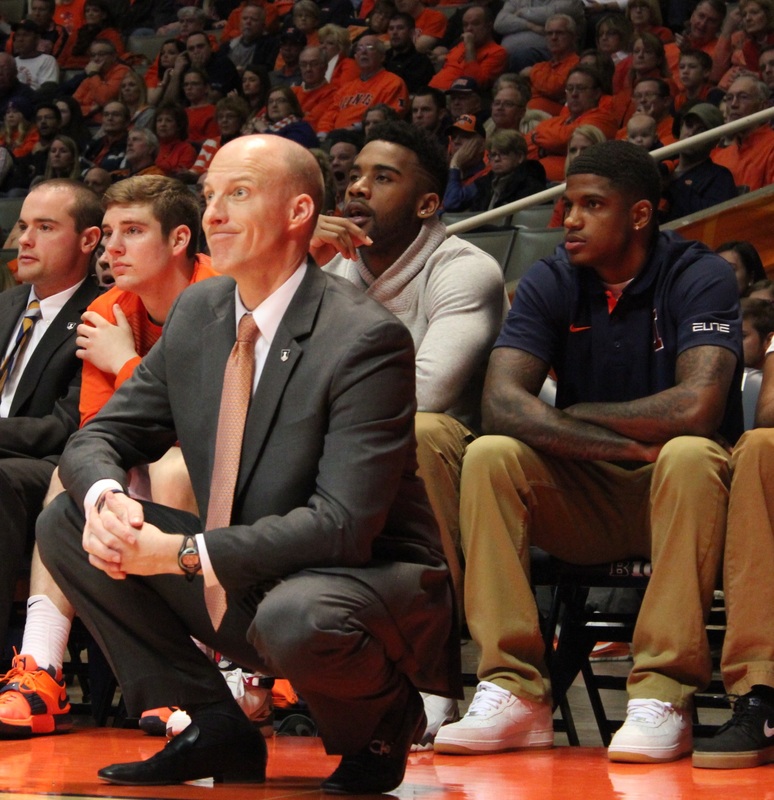 Dazzling a crowd is exactly what John Groce needs to keep his job. And he also needs about four thousand more people per game. And he needs those people to pay more for tickets. The Division of Intercollegiate Athletics, to its credit, has become far more flexible, in recent years, about ticket prices and packages. Ticket supply continues to exceed demand, so DIA dropped prices dramatically. Good for them, but bad for the bottom line. Thrilling players like Kipper Nichols and Te’Jon Lucas sell tickets. Think of the days when Bruce Douglas lobbed & Efrem Winters dunked. Indiana gets 50% more people per game. 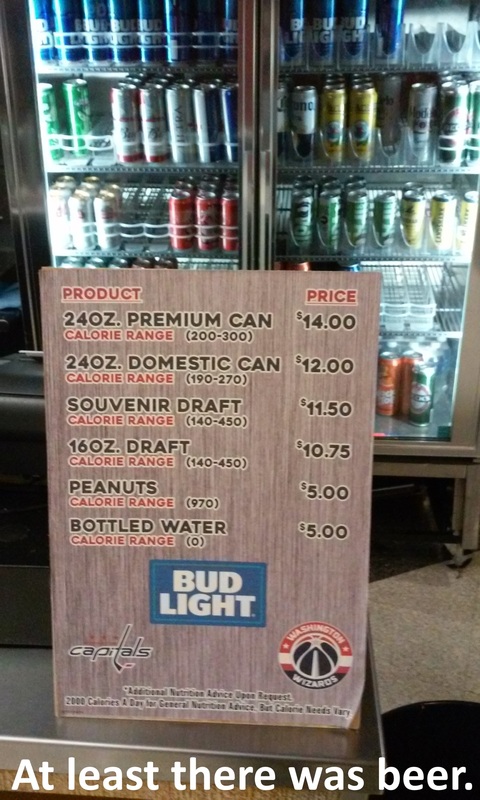 They probably don’t sell tickets for $6.78/per, either. 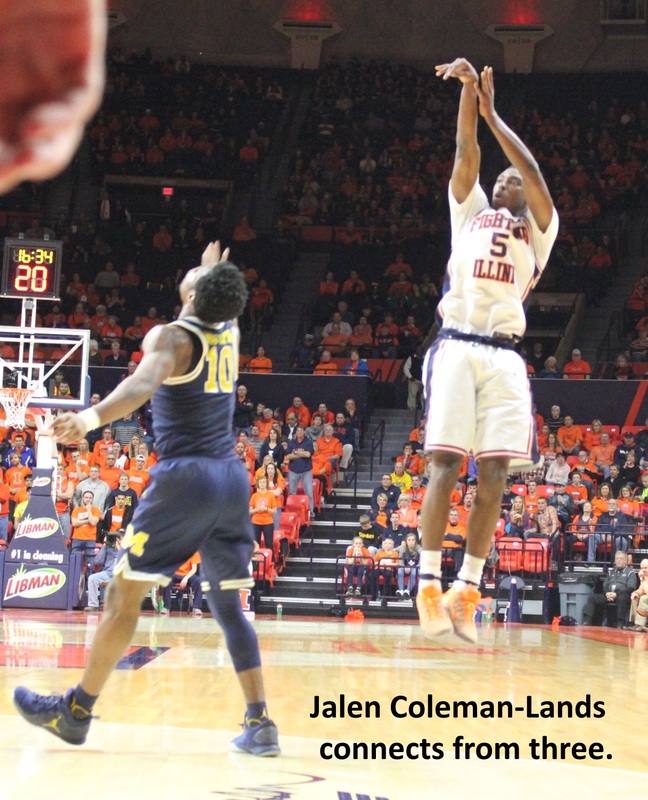 Jalen Coleman-Lands connected on 4-of-5 threes, for 12 points. His passing remains underrated (4 assists). 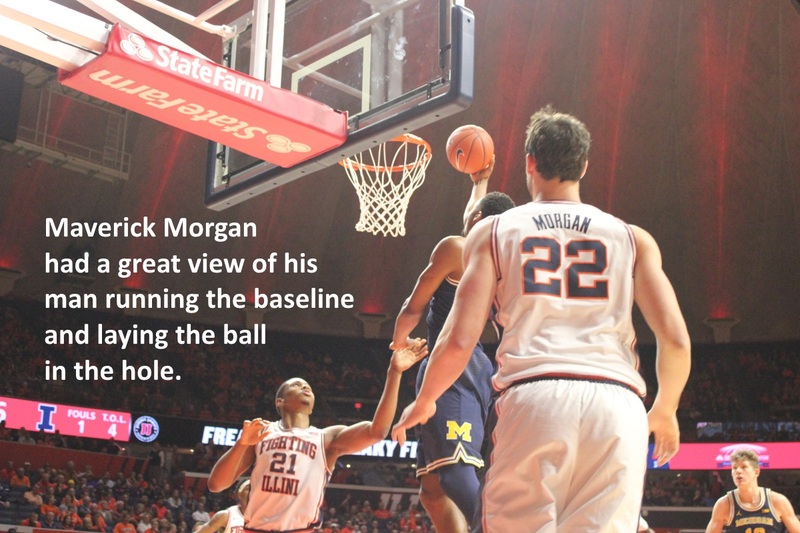 Maverick Morgan also dished four assists from the center position, and converted eight of his nine attempts from the floor. 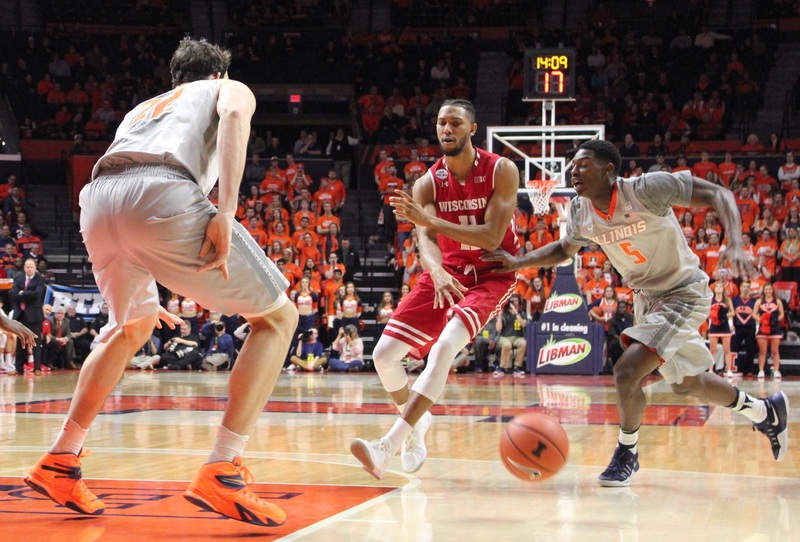 With Jaylon Tate and Mike Thorne combining for exactly zero minutes, one wonders whether Groce will contract his rotation to the degree that mentor Thad Matta usually does … something like six or seven players per game. But as long as The Producers continue to produce, the non-producers are likely relegated to cheerleading and spectating. 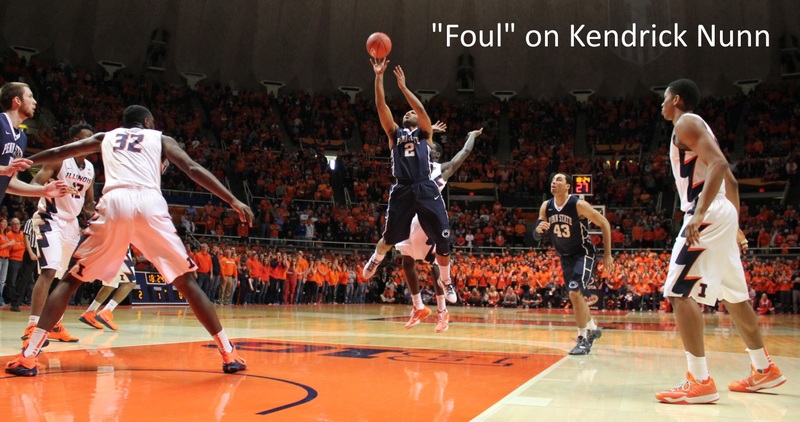 Illinois was lousy on defense, and that’s okay. Most people don’t care about defense, just so long as the home team leads by 15 to 20 points throughout the second half. 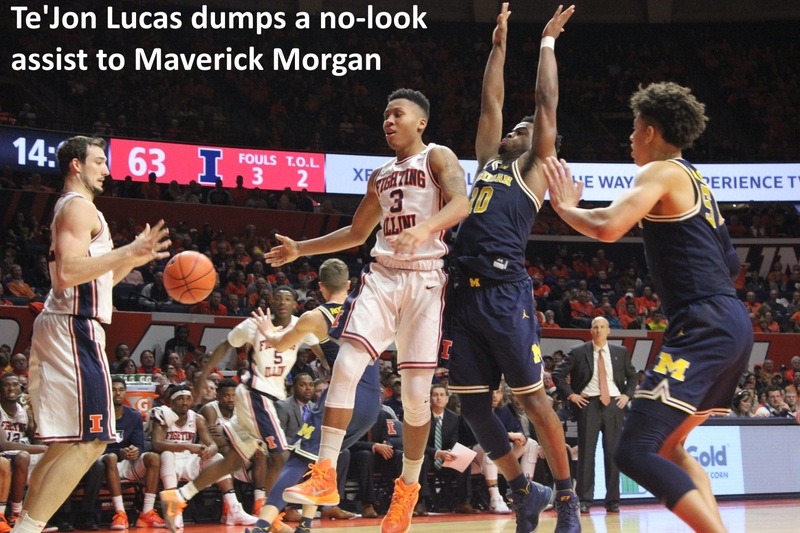 If he can’t ensure that his team connects on 64% of shots night-in/night-out, John Groce may want to hire a defensive mastermind, like Chris Lowery or Wayne McClain, to instill defensive toughness in his matadors. Here’s a hunch: Big Ten Commissioner Jim Delaney wants two Big Tens. Twenty schools total, one east and one Midwest. He needs to add six major television markets research institutions to reach that presumed goal. Here’s another hunch: Most of those six will come from the eastern seaboard. The first three of these six television markets research institutions are no-brainers because of their long traditions of excellent academics and athletic success: #8 Atlanta Georgia Tech, #9 Washington Virginia, and #24 Charlotte North Carolina. Luring these schools from the A.C.C. might require a better deal than Delaney offered Rutgers, which isn’t even getting the reach-around in its initial membership phase. But consider that Purdue’s payout for last year was $12 million more than Florida State’s, and you can see why those schools would join Maryland in leaving. Delaney won’t go west of the Rockies, so #2 Los Angeles UCLA is out of the picture. But what about #5 Dallas and #49 Austin Texas? UT is a prize jewel for academic and athletic purposes. But it has The Longhorn Network. That’s either a good thing, or a bad thing. It’s certainly an impediment to joining the B1G at this juncture. #10 Houston Rice is excellent academically, but it’s tiny so probably hasn’t produced enough eyeballs. 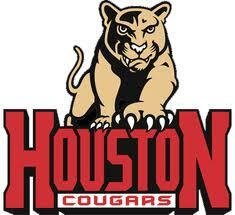 University of Houston is at the opposite end of the academic spectrum, ranked #187 by US News (tied with Nevada, South Dakota State, UNC-Greensboro, & Western Michigan). 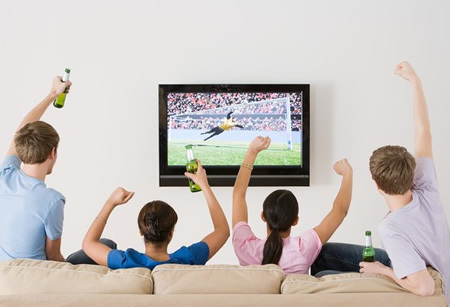 On the one hand, its alums almost certainly spend hours mesmerized by television. Delaney might not stoop that low. 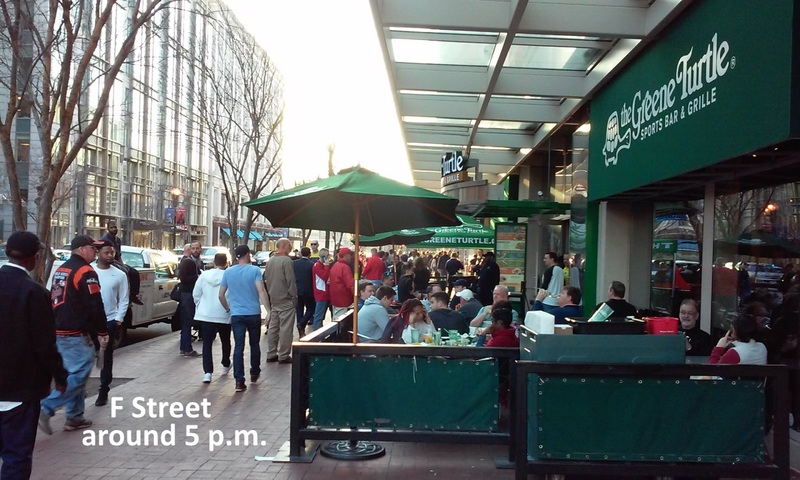 Penn State counts about 123,000 viewers alums in the Philadelphia metro area (#4). But college basketball in Philadelphia is always focused on The Big 5 — Penn, La Salle, Saint Joseph’s, Temple, and Villanova . Temple is the biggest, and the only (quasi-) public school among the five. If Delaney wants to shore up viewership in Philly leaven the B1G’s highfalutin brainiac reputation, Temple would take over last place among B1G schools in the US News rankings (tied with Kansas but still ahead of Arizona and DePaul). Temple makes more sense than University of Pittsburgh, which is considerably smaller (but much higher ranked, academically). But Pitt is certainly a good option. No university in New York City (#1) combines athletic prowess with outstanding academics. The New York market is considered immune to college sports, being rabidly obsessed with pro teams. So don’t look for Fordham or Columbia to join the B1G. But I think Delaney would love to reel in #7 Boston Harvard. The Ivy League is a great concept, but it doesn’t make any money. Besides, the Ivy League exists mostly in the mind. 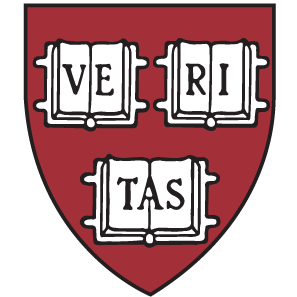 If Harvard joined a major athletic conference, it would still be a member of the Ivy League as a matter of history and reputation. The B1G is currently #2 in revenue, behind the SEC. But that’s mostly the result of TV contracts. The onus on Jim Delaney is to cultivate the Big Ten Network so its revenue exceeds ESPN payments. Surely the proceeds of a wholly-owned network, given sufficient market share, should eclipse the fractional outlay any for-profit network could afford to disburse. The coup-de-grâce in defeating Bristol would be to make BTN accessible to anyone on the Internet. In the old days, you couldn’t watch TV without an expensive distribution system. That’s not true anymore, but major networks seem slow to recognize that fact. Live sports is not the Holy Grail of TV anymore, largely because people are fed up with ever-growing subscription fees. But live sports is still the most reliable path to viewer eyeballs. Advertising revenue need not be marginalized into a subscription model. I’ll drop the strike-through gimmick to make a serious point. 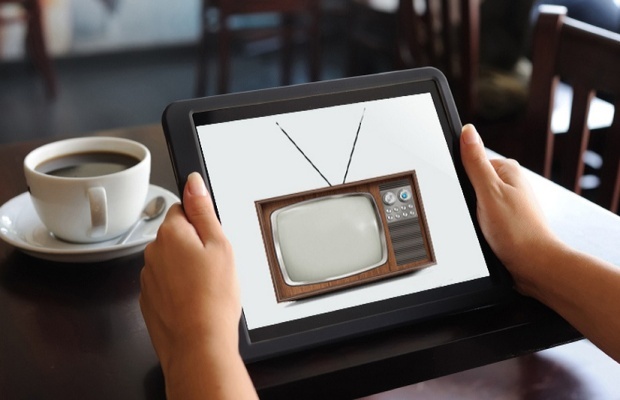 There’s no way Delaney could capture the top ten TV markets in the United States, no matter whether those eyeballs are watching via traditional television or smartphones. But it’s not hard to imagine 8 of the top 11 markets claiming a hometown B1G team. And revenue opportunities grow larger if there’s no need to negotiate an exclusive contract with a regional carrier: There may be no B1G schools in Los Angeles and the Bay Area (#6), but there are literally millions of B1G alums in those markets. The 2018 Big Ten Basketball Tournament will be played at Madison Square Garden, in dreary old Manhattan. Perhaps, by then, East Coast Bias will be the B1G selling point. *Wild-card: #29 Nashville #15 ranked Vanderbilt, the only school in the SEC that cares about academics. The Big Ten never penalized Pat Chambers for criticizing the officiating in Penn State’s loss at East Lansing on January 22. Maybe that encouraged Chambers to complain some more. He hated Glenn Mayborg’s game-changing whistle, which came with 33 seconds remaining in a tied game, which took the ball (and the win) from Penn State, which handed the ball (and the win) to Illinois. Chambers said the game should be decided by the players, not the refs. 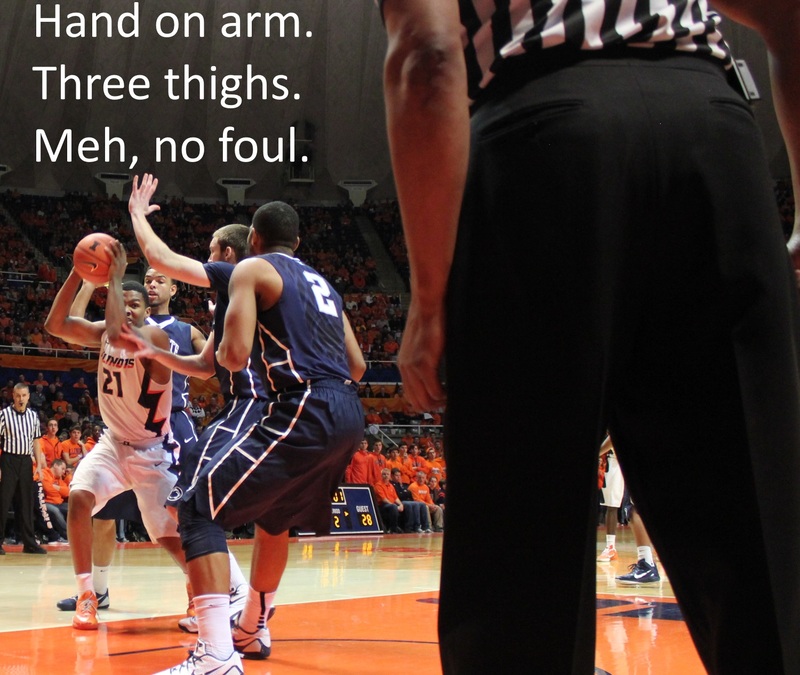 But that’s unfair to the Illini. The truth is that Glenn Mayborg (and Earl Walton and Rob Riley) had been deciding the game for all of the first 39 and a half minutes, too. Mayborg and Riley were especially responsible for allowing Penn State’s bigs to wrestle and batter the Illini on the interior. Chambers should be thanking them effusively for keeping his team in the game. 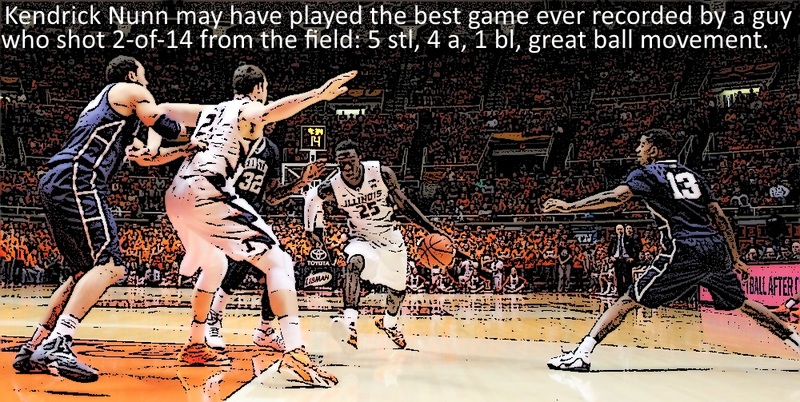 It certainly abetted The Nittany style of play. On the other hand, Mayborg et al decided early on that every ticky-tack touch was a foul. I have not seen a more brutal game, perhaps ever. When Bruce Weber had Mike Tisdale and Richard Semrau on the roster, he never played them together. It could have been a great combination, but only if Weber could use zone defense effectively, to hide Tisdale’s slowness as a small forward. Groce figured it out. 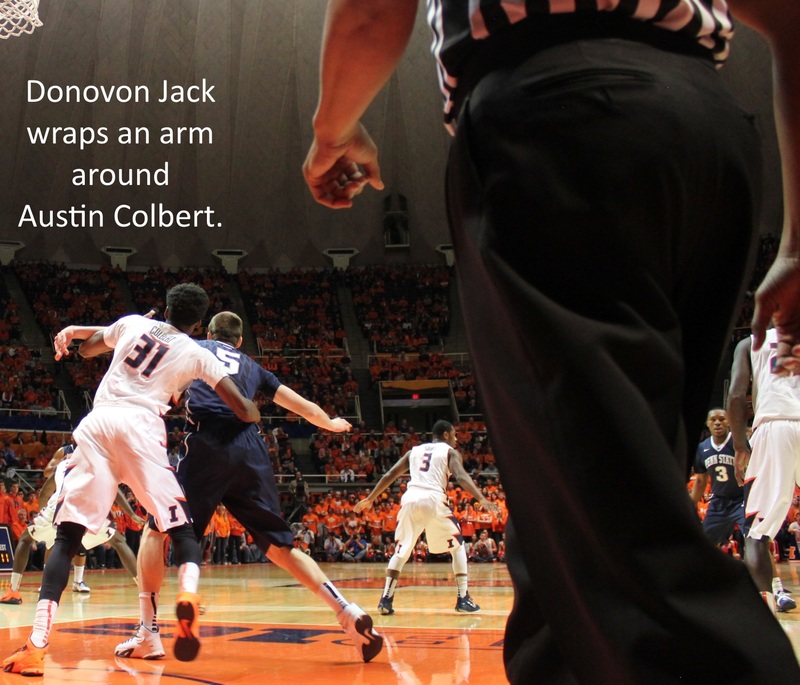 He used Colbert in combination with both Egwu and Maverick Morgan, hiding Austin in the zone. Mike Basgier loves to talk about Austin Colbert, and point out that Austin works out more often than the rest of the team. Basgier likes to point out that Austin is near the top of the charts in certain statistical categories (behind Rayvonte Rice). 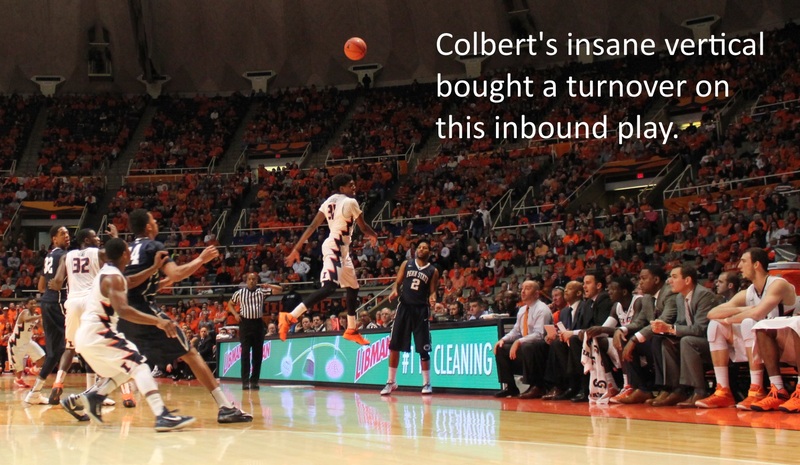 Yet the concern for Groce & staff is Colbert’s strength in the post. Squats and bench-press equal keeping a B1G big off the glass. Starks shot 3-of-4 3FGs against PSU. He grabbed two rebounds, one of which dropped in his lap when Kendrick Nunn boxed every mofo who dared charge the lane. Starks also boxed mofos on behalf of his teammates. A cursory search told me that I’ve written about him twice before. Once was an article about great officiating (which Jim Schipper really liked.) The other praises Mayborg for his patience. Glenn Mayborg’s baseline activity is unlike any official I’ve seen. He moves constantly, which is frustrating for photographers, who all sit along the baseline. But it means he’s trying to get the best angle on every aspect of every movement. In this day and age, plenty of digital recording renders each B1G basketball game as a searchable document. The data may prove me and 14,597 fans wrong. 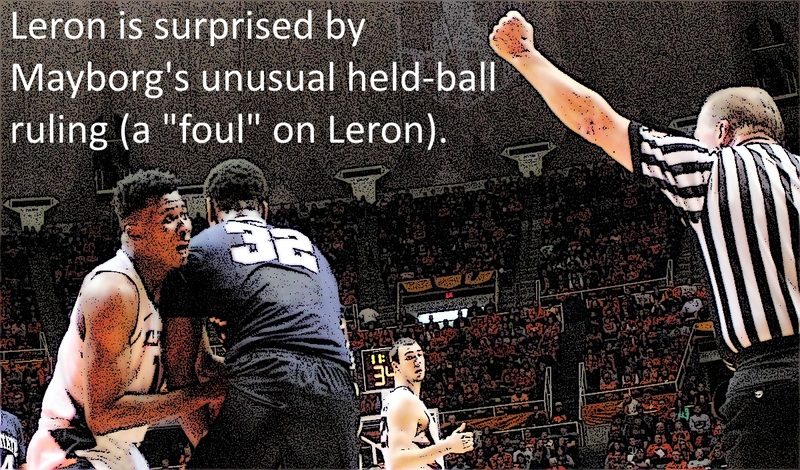 But we all thought there was something weird, incongruent, disjointed about the officiating. Pat Chambers should be Nittany Lionized not only for his game plan, but for his manipulation of the conference and the media. He’s doing everything he can to maximize the potential of his team. Good for him. And great for Illinois that he didn’t get away with it. At least two of the lads used their free time to obtain a haircut. Leron Black opted for a fade, now resembling Kid n’ Play circa 1991. Kendrick Nunn got it all chopped off, now resembling Kendrick Nunn circa 2013. Dietrich Richardson says he had a great time playing pro-ball in Finland. He learned about the jet stream: It wasn’t as cold there, despite being way farther north. He also learned about jet lag. The flight home threw him for a loop, especially because he’s been living on three hours of sunlight per day. D.J.’s agent advised him to get back to the states last week, because the folks in Finland were having a hard time finding their wallet. It’s a familiar story with pro-ball overseas. He’s not sure where he’ll be balling next, but added that he should find out within ten days to two weeks. John Groce takes longer in getting to his postgame presser than any major conference coach I’ve observed in seven years of covering college basketball. A week ago in Minneapolis, Groce’s dilatory attitude to media seemed to be the story among the twin cities’ beat writers. What is he doing? we all wonder. We see the locker room speeches via the TNT series on YouTube. We hear his radio interview with Brian & Jerry (which today didn’t start until Penn State was practically on board its return flight). Neither of those postgame duties accounts for a full ten minutes. So when 40 minutes have passed, we become curious. 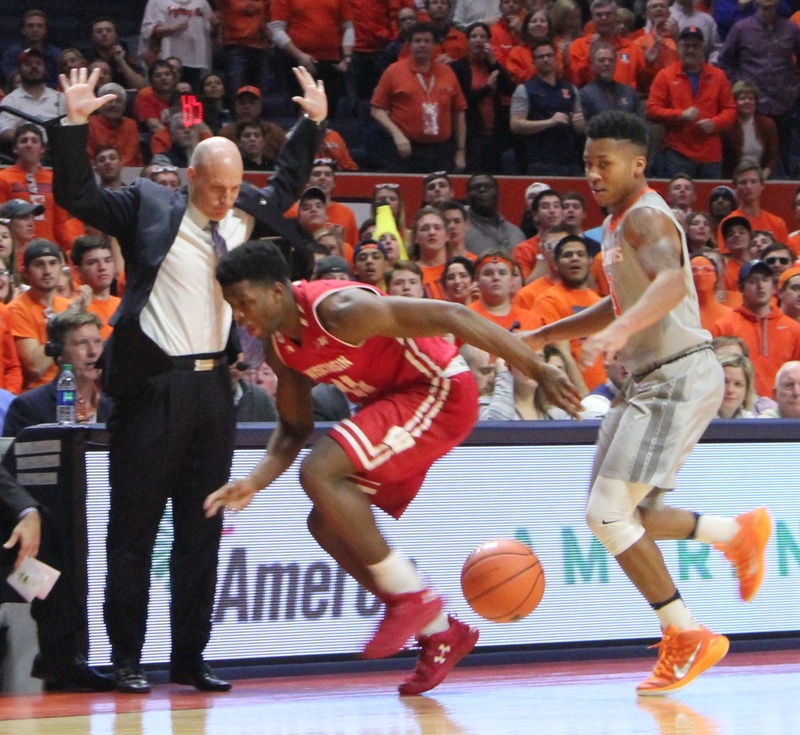 Saturday afternoon, we got one inkling of Groce’s postgame, behind-the-scenes. I tried to interview Zach Norvell during a media timeout, early in the second half. He was sitting with Saieed Ivey, about four feet behind me. Plenty easy to access. Way too close to the pep band. I could hear him fine, but it’s not good for microphones. I knew the sound quality would be terrible if I pressed “record.” One thing that I did hear him say clearly is that he did not have a scholarship offer from Illinois. That seemed strange to me. 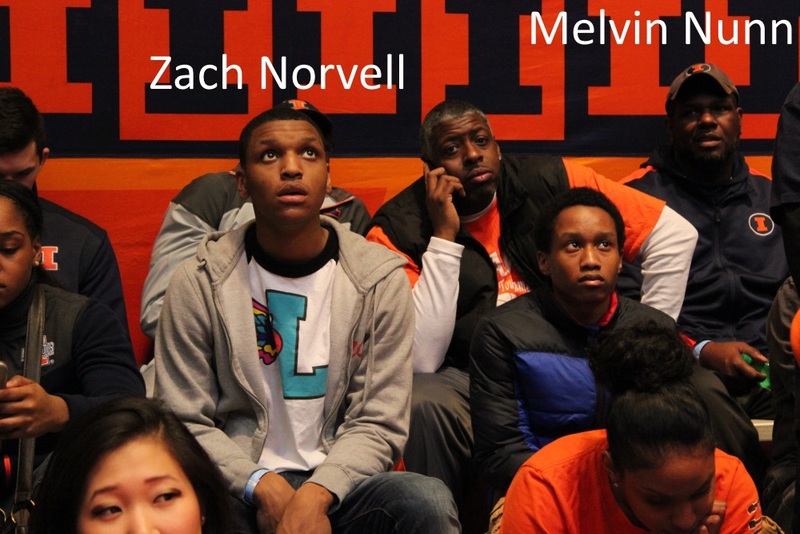 Yes, the Illini team is composed purely of wings, and Zach is a wing; but Norvell seemed like an Illini target, not just a plan B. Well, it turns out that John Groce spends his post-locker room, pre-media room time offering scholarships to Simeon standouts. By the time Groce showed up for his postgame session, Zach Norvell was the proud recipient of an official offer. By the time Groce finished his press conference, Norvell was still in the building only because his Simeon assistant coach Melvin Nunn is media savvy. 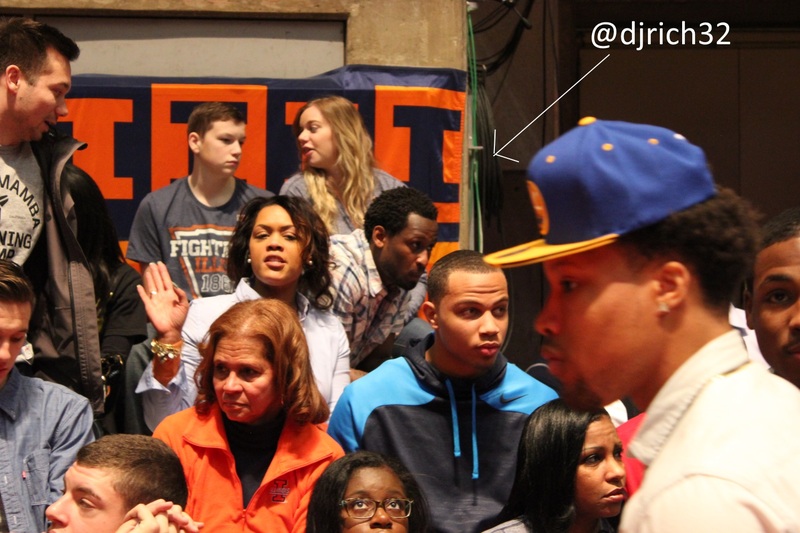 A pair of pleading texts kept the Simeon contingent around for the duration. 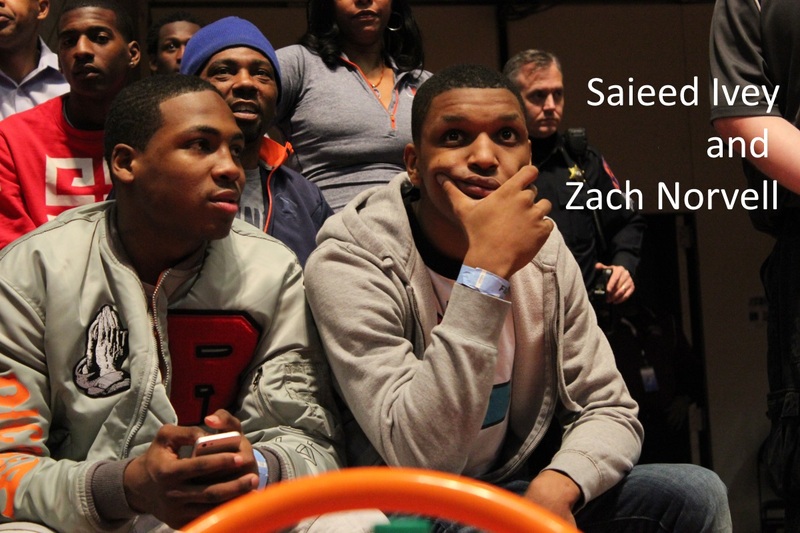 There are many reasons that Simeon’s coaching staff finds scholarships for all their guys. One of them is knowing how to play the game. Another is knowing how to play the games. “You owe me one,” said Melvin. But it’s not true. I owe him many. As for Saieed Ivey, he’s currently a freshman playing point guard at Governors State University in Will County. I was worried that I’d seen the last of the Colbert family. It had been long enough since I’d seen their son, who was once upon a time a basketball player at the University of Illinois. But Saturday, Brenda Colbert showed up for the first time in ages. And Austin played meaningful minutes for the first time in ages. “Did you get a tip that he might be getting some real PT?” I asked at halftime. “Nope. I just came on faith,” she replied. Austin Colbert is a personal favorite of mine. I freely admit I’m biased in his favor. He’s simply a very warm, positive, funny and smart guy. Let’s just bookmark this moment. It’s brilliant, or it’s idiotic, or it reflects an actual moment of marijuana smoking. 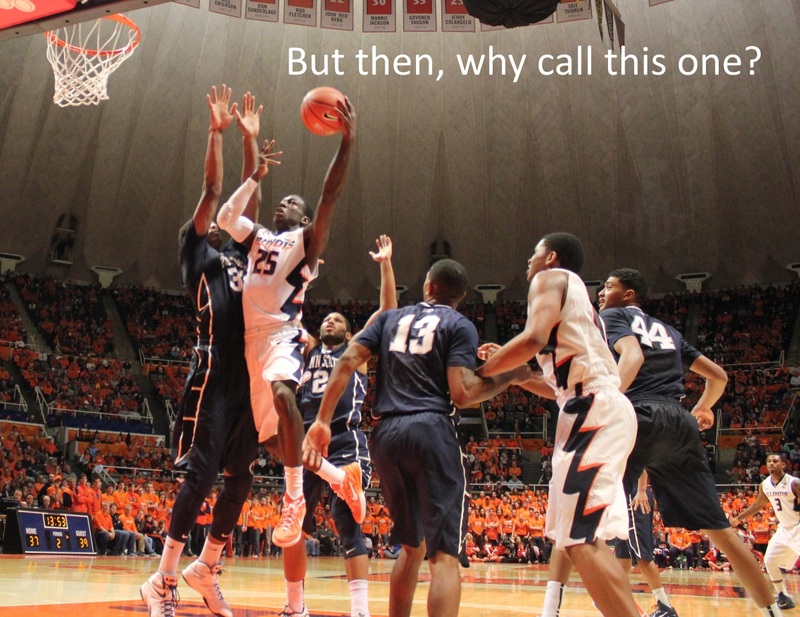 Why would John Groce suspend two guys who can’t play? Did he do it from a sense of justice & rightness? Is he playing mind games with opposing coaching staves? For purposes of the PSU game, it doesn’t matter. Neither of those two dudes would have played. Is it an insult to the players themselves? Yes, it is. That’s why Groce didn’t elaborate on their purported malfeasance. Is it all a farce? Probably not, but that would certainly be the coolest purpose for the suspensions.